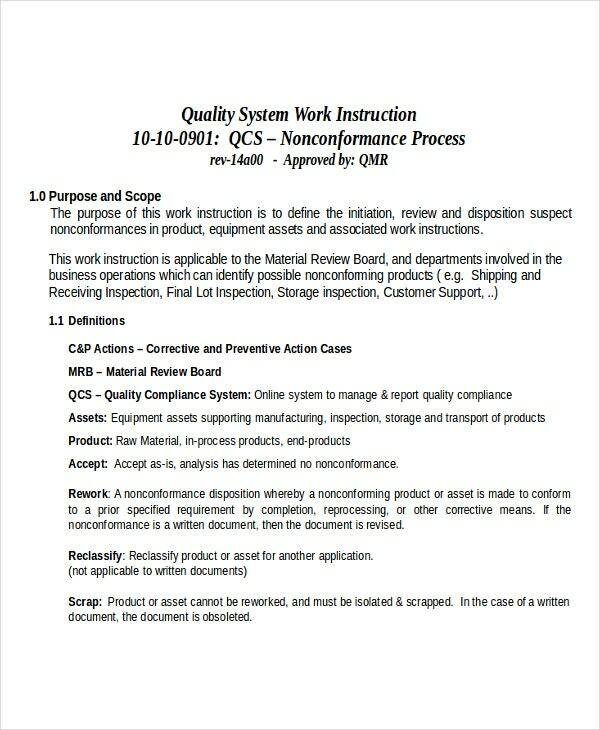 Work instructions normally break down very complex processes or workflows into very unique steps using basic language and visuals to decrease the possible for errors and rework, and enhance accuracy. 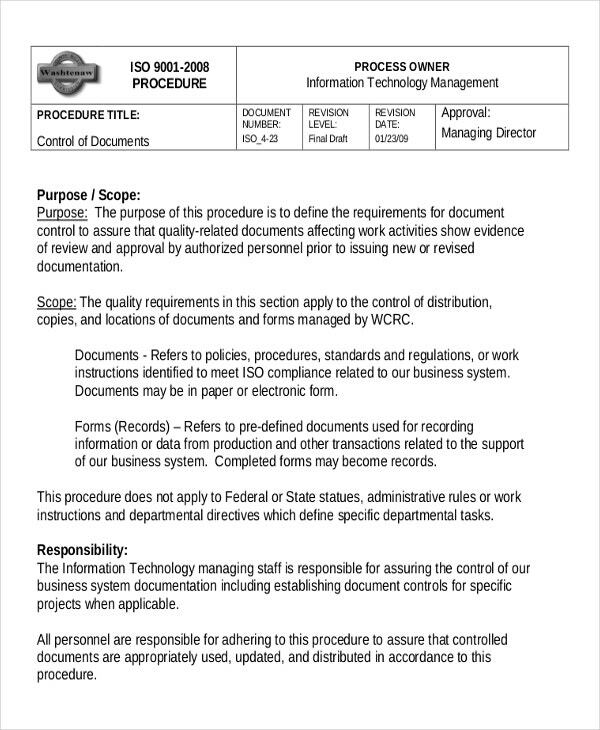 Based on this, company should possess work Instruction Templates for each type of work in PDF or in any other easily downloadable and usable formats. 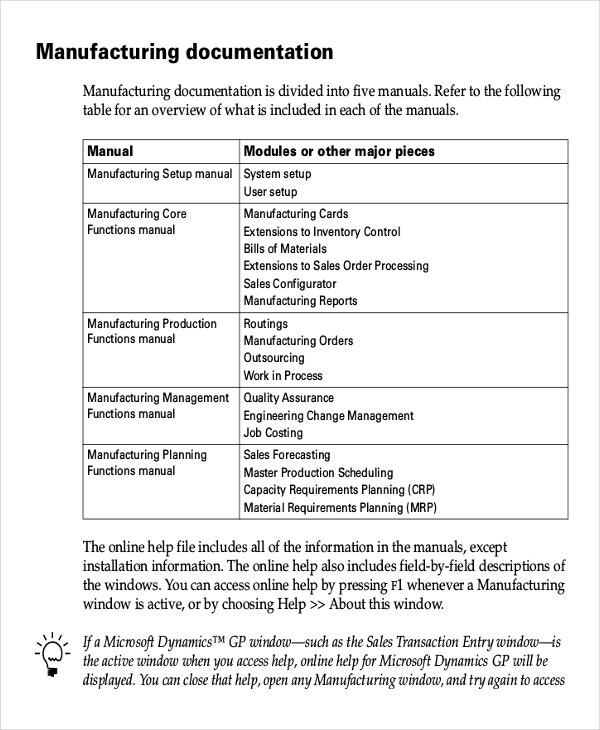 In manufacturing or extremely regulated environments, work instruction template in Excel or in Word Format provides the right way to do low-level activities, which can roll up to a high-level process, and may be necessary by standards, system or working policies. Work instruction templates are known for their efficiency and intelligence and have been helpful and are constantly being used. These templates give you a different look and make your work easier. 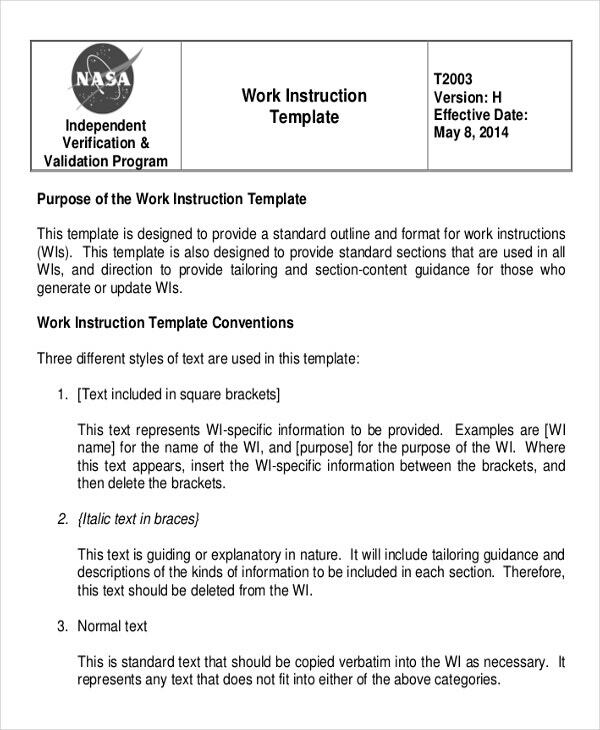 > Why do I Need Work Instruction Templates? 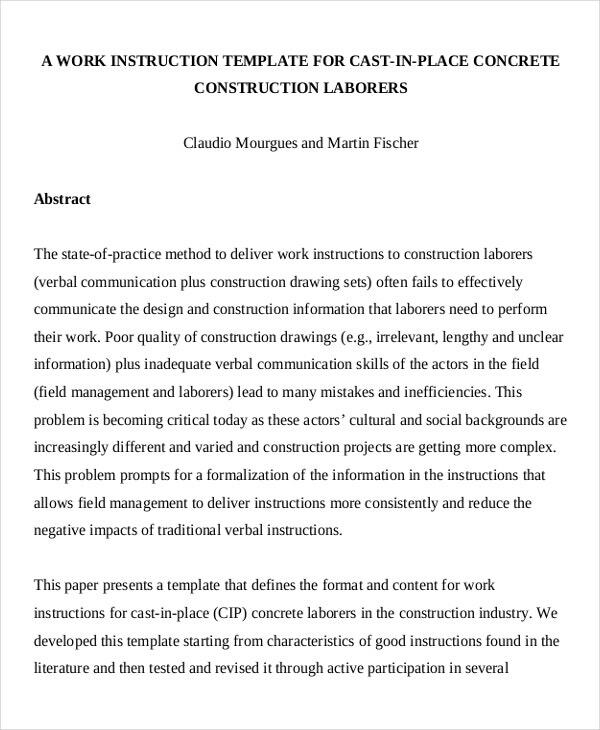 > How to Create and Make Work Instruction Templates? The best part of these templates is that you don’t need to create them or design them, as these templates are already created by the best designers who know what people need. You can get these templates easily from any website and can go on with your work. These templates are available in various formats. 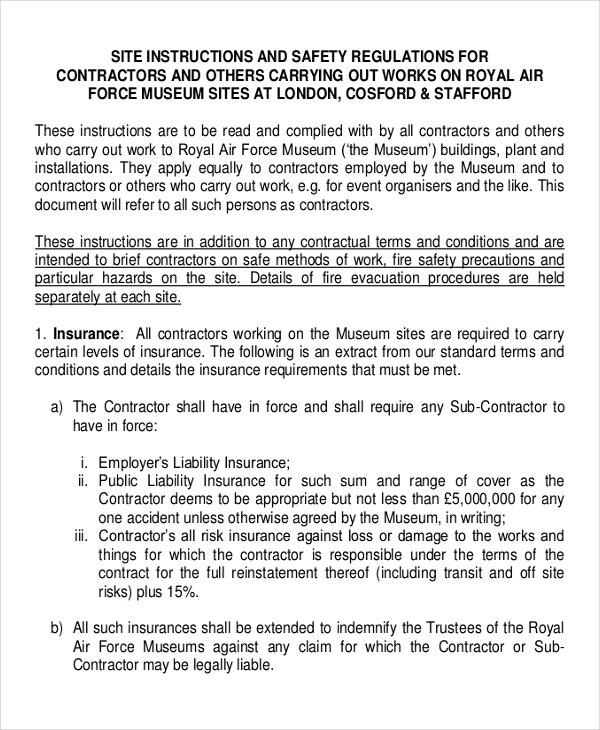 You will see that all your work has become easy to manage when you use work instruction templates. These templates have the intelligence to give you a detailed structure and layout for all sorts of work and lengths of instructions. 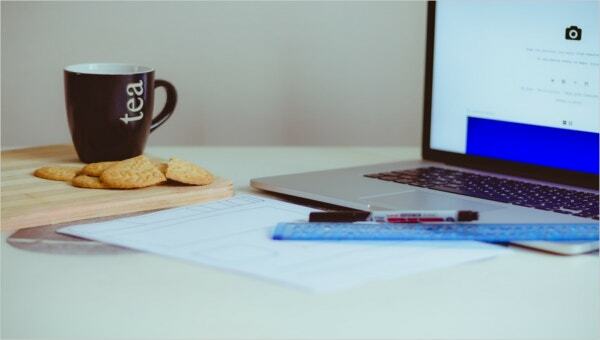 You can easily give in your content and the rest will be upon the template to do. With these templates, you can easily get your job done.